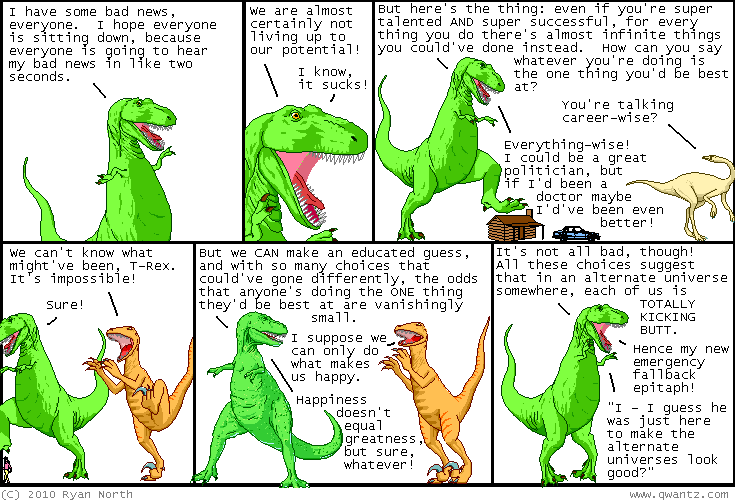 Dinosaur Comics - November 30th, 2010 - awesome fun times! –Or is he instead actually totally fake OH SNAP TWIST!! I WROTE A NEW BOOK, ARE YOU AWARE?? ?